The tone of the new content is based on the Geneva Convention, as well as a few other related documents. In it, players will work under the banner of a new faction, IDAP, and assume the role of one of their workers as they journey through the locations of the original campaign, attempting to clean up and disarm the various ordinance that remains. Throughout the campaign, the player will also experience flashbacks in order to see the battles from both opposing sides as well as that of nearby civilians. 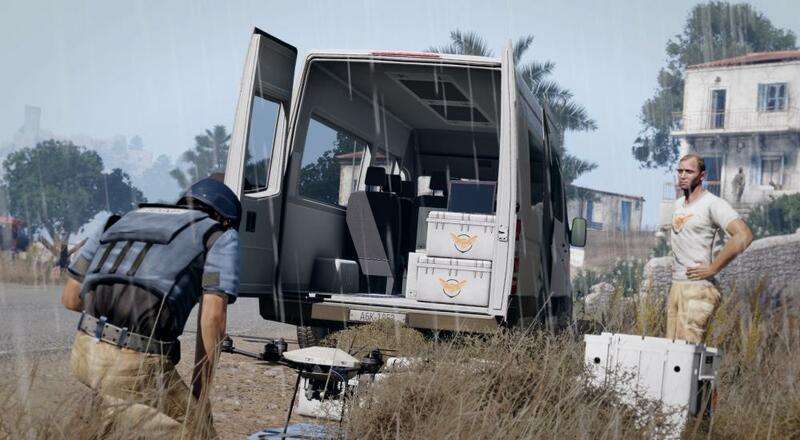 The DLC was made in collaboration with the International Committee of the Red Cross, and half of the net revenue will be donated to said organization in 2018. It sounds like a fairly intense, sobering experience, and one that is intensely necessary in an industry filled to the brim with military shooters. If you'd like to check it out, it's already available for purchase on Steam for $11.99. Page created in 0.4153 seconds.